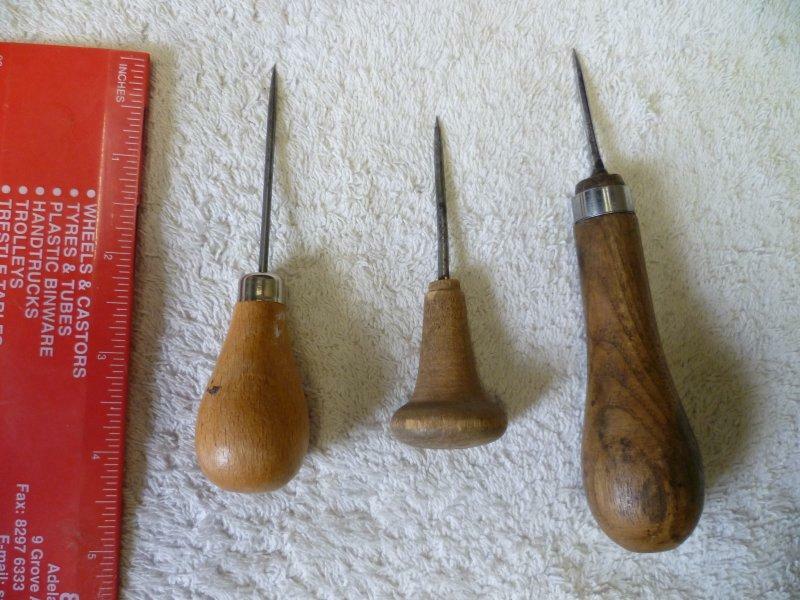 My three awls. The one on the right I made (can't remember what I used for the pointy bit) the other two came with the heap of stuff recently given to me and are probably 40-50 years old. Like I said, an awl doesn't need to be fancy (unless you want it that way). I honestly can't remember , but I've made a lot of assorted handles so probably did.